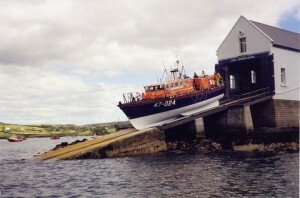 The Tyne class was Introduced by the RNLI in 1982. When the Hilda Jarret was commissioned in Baltimore in 1988, she had twice the power of her predecessor, Charles Henry, boasting a top speed of 18 knots. 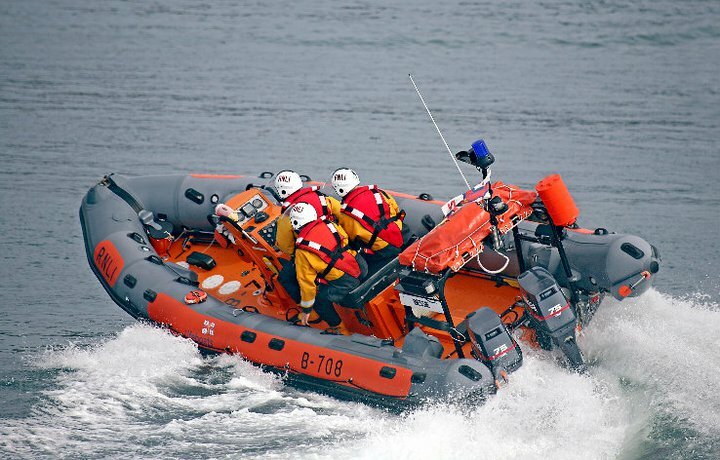 Built at the Isle of Wight on the South Coast of England, the well-equipped 47ft Tyne class lifeboat cost £564,000 at the time. Her first callout was on the 21st May 1988. In her lifetime she has launched 356 times and rescued 346 people. 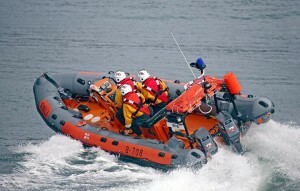 The Hilda Jarrett is equipped with twin 425 hp engines and fitted with a range of modern search and rescue aids. She carries 510 gallons of diesel plus 102 gallons in reserve. This will fuel her for about twelve hours at a speed of 18 knots. The Hilda Jarrett was the fifth new lifeboat to come into Baltimore, since The Shamrock arrived in 1919 at a cost of €6,013. 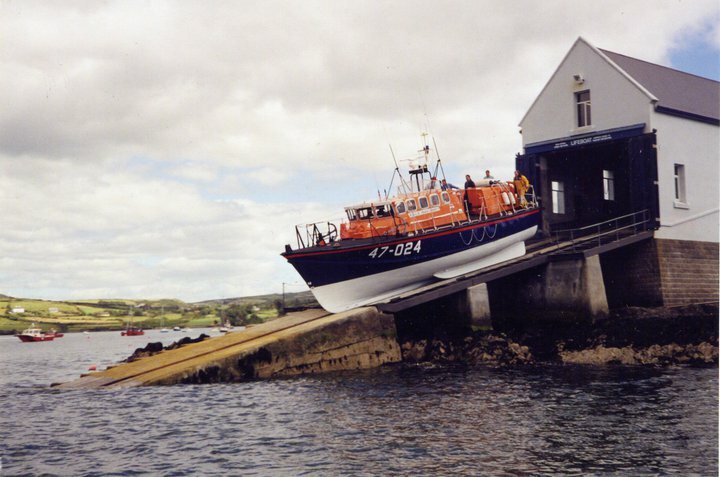 The Tyne class all-weather lifeboats were the first ‘fast’ slipway lifeboat. Features include low profile appearance of wheelhouse to fit boathouses, and separate cabin aft of upper steering position. It has shallow conventional sheerline and flared bow above the waterline, with propellers protected by substantial bilge keels. Self-righting, she has a steel hull with an aluminium superstructure.